How many times have you heard the saying “there’s an app for that”? The same can be said for productivity apps, whether it be to organize your to-do lists and projects, draft and review documents, or communicate with your team. No matter what you hope to accomplish in your daily routine there are apps to help you work faster, and smarter. Here are 7 apps to help you boost your productivity wherever you are. The Todoist app is a simple task management app to house all your to-do lists. 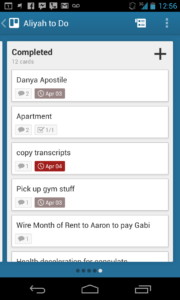 The app lets you compile your to-do lists, assign tasks, and collaborate with other teammates. Manage your tasks the way you want with this highly customizeable Trello app. Organize your tasks in separate boards and create sub-lists to track your progress. You can also access your account online. 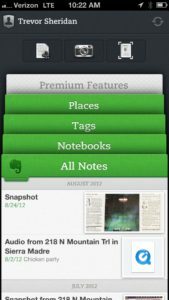 Keep track of not only work related tasks, but use the Evernote app to organize your personal projects as well. Write your own lists and notes, or save online content to refer back to later. 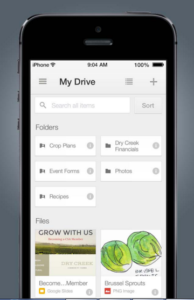 Get access to all your important documents wherever you are with the Google Drive app. The app comes in handy for drafting new documents, but to also refer to older documents in the nick of time. 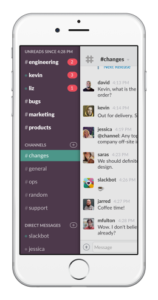 If your business uses Slack as the software for internal communications, getting the app on your phone is a great option. Keep up-to-date with important real-time messages and pitch in when needed. 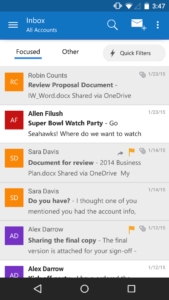 Outlook is the primary email service for many businesses, so it’s only appropriate to get the app on your phone. This is helpful not only to keep up with your emails, but you can integrate your calendar as well. 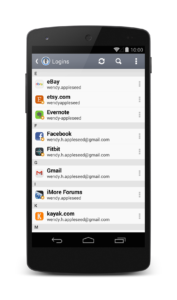 With the number of applications we use daily, consolidating your passwords can save you a ton of time. 1Password can help you do just that while keeping your digital life secure. Determine what project management and communications tools work best for you. No matter what your goals are, how tech savy you are, and what price point you want to stay under, there’s a productivity app fit for your needs. What productivity apps do you enjoy using? Let us know! Sign up for our free monthly newsletter for more tips on office organization, design, and supplies.